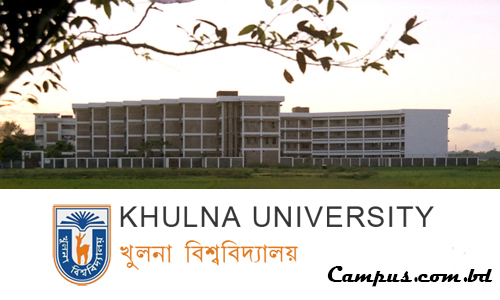 Khulna University honours admission test will start from the 3rd November. Application for admission test will begin from September 5 and will continue till September 30. Students who passed HSC in 2015 and 2016 will only be able to apply the admission test. The other requirements for application are stated below. To apply for Science, Engineering and Technology (E) and Biological Science (L), Admission seekers need to have at least GPA 4.5 in SSC and the same in the HSC examination. Moreover, he/she needs to have at least 4 in Math, 4 in physics, 4 in Chemistry and 3 in English in the HSC examination to be able to apply for E and L Unit. The minimum GPA to apply for Fine Arts (F) is 3.5 in SSC and 3.5 in HSC. To apply for Management and Business Administration, admission seekers need minimum GPA 4.5 in SSC and the same in HSC examination. At least GPA 4.25 in SSC and 4.25 in HSC is required to apply for Social Science ( S). To apply for Arts and Humanities, students require having GPA 4 in SSC and 4 in HSC. 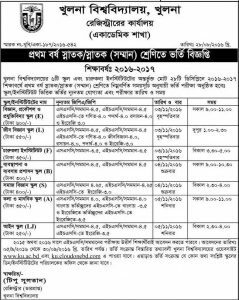 Moreover, he/she needs to have GPA 3.5 in Bangla and the same in English in the SSC examination and 3.5 in English in the HSC examination to be able to apply for Fine Arts and Humanities. GPA 4.5 in SSC and 4.5 in HSC is required to apply for Law School (L). GPA 3.5 in English in HSC examination is also required to apply for Law School. For more details and admission test time and dates, see the picture below.